Screw conveyors are used in many industrial applications, daily, for the efficient transport of various bulk materials. The main function of the screw conveyors to ist o transport bulk material from one process to another. Screw conveyors are very cost effective and require minimal maintenance. Ideal for handling of dry and semi-dry materials. Cost-effective compared to other means of transport such as a belt conveyor, pneumatically, etc. Fully enclosed for corrosive or dangerous conditions. 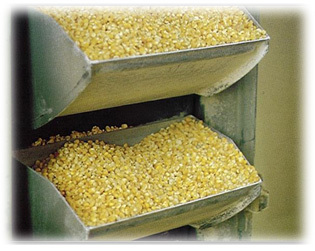 Screw conveyors are manufactured as a tube conveyor or as a tray conveyor. Belt conveyors are the most economical way for transportation of bulk materials over short and long distances. 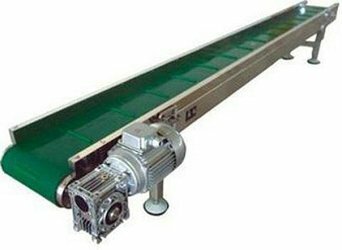 Belt conveyors are ideal for bulk materials with large dimensions. 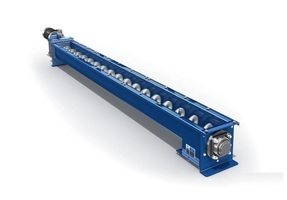 The layout of the plant can be efficiently simplified with the use of belt conveyors. Basic characteristics are the absence of breakage/damage of conveyed material (both bulk and in pieces), the lowest energy consumption per ton of conveyed material, low maintenance costs and a long-term operation. 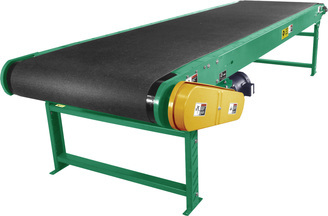 As part of the production program Metal – Matik manufactures the belt conveyors of different types and sizes of and with different belts (rubber, PVC, etc.). 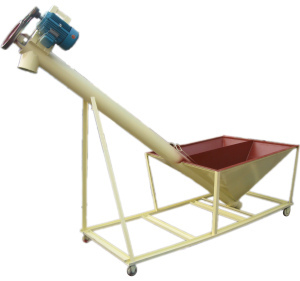 Best way to lift the bulk vertically, is the use of bucket conveyors. It consists of a series of buckets connected with an endless belt. The belt is positioned on the drive pulley and tensioner disposed in the head. Buckets are in eleveator housing and has been used to transfer material. Bucket takes material when it is near the receiving place, then vertically transported through the columns to the head, where the material is unloaded to the next process. Metal-Matik produces a variety of elevators based on the properties of bulk materials and process requirements. Chain conveyors are an excellent complement to the bucket conveyor and belt conveyor in the handling of bulk materials. 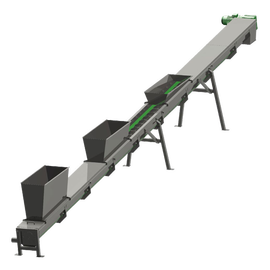 Chain conveyors can man use for transport, exclusion or dosing of bulk materials from one process to another. 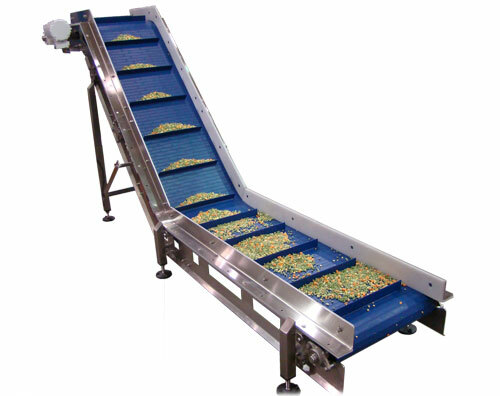 The compact and versatile design allows for chain conveyors in almost every operating plan fit. Basic features are also height-capacity in comparison with body proportions, the low energy consumption per ton conveyed material, low maintenance costs and a long-term operation. 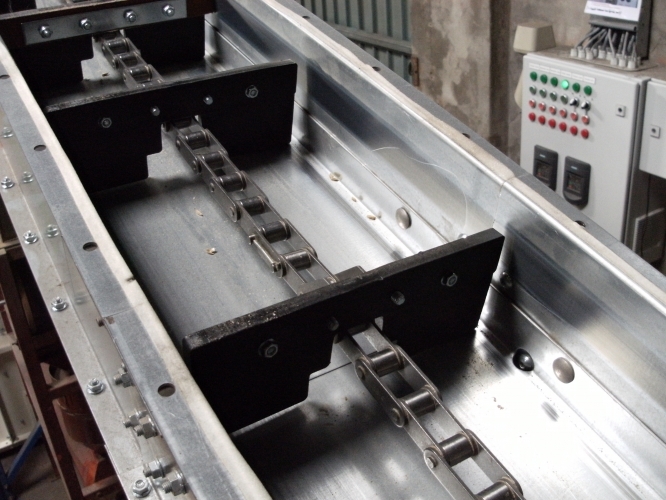 As part of ist production program Metal Matik manufactures the chain conveyors made with different chain types. Chain conveyors have the most common application within the silo center, and in the positions where there is a need for transportation at a distance of up to 100 m.